It's no surprise that New Yorkers and Parisians are different in more ways than one. The French are less enthusiastic when it comes to trends, blowouts, and consistent manicures while Americans reserve their most casual looks for the weekend but are okay with wearing their workout clothes outside the gym. But former Parisian/current New Yorker Camille Rowe knows about one major difference that just might surprise you. In an interview for Madewell, the model revealed that the French are nowhere close to the "sneakerhead" status of New York. "In Paris, I'd never wear sneakers. It's such a New York thing, like working out. It's almost taboo in Paris," said Rowe. Want to get the right casual look? 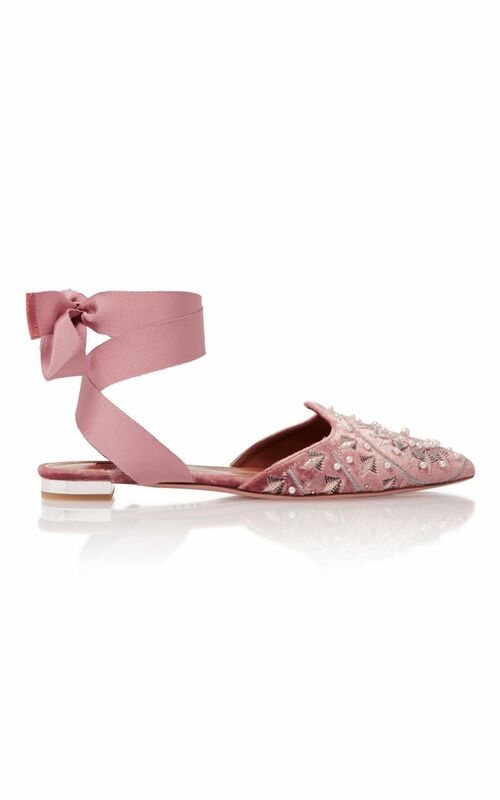 Shop the Parisian-approved flats below. These shoes make it easy to embrace a little femininity. These slippers combine our two favorite shoe trends: backless slides and ankle ties. Flats like these will never go out of style. Leopard print will go with everything you own. These shoes will transition perfectly to fall. Patent leather makes any shoes better. All the style of heels without the pain. Millennial Pink will forever be in our hearts and our closets. What's your favorite style of flats other than sneakers? Tell us in the comments!